We will provide tools, guidance and support for families going through this difficult time. Our services include pain management, palliative care, nutritional counseling, maintaining hydration, managing issues of mobility and hygiene, quality of life assessments and emotional support. One of the hardest things we do as pet owners is watch them age and we often worry if we are doing everything we can for them. There may come a time when we wonder if we are extending their suffering too far, and maybe it's time to let go. Making this decision is often a difficult and emotional process that we are here to help you through. When you lose a companion, it can be a very emotional time. 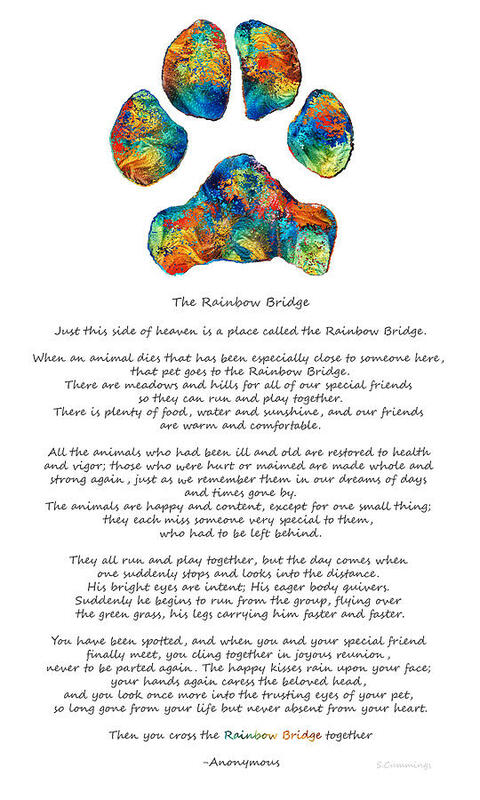 Our pets hold a special place in our hearts, and the loss of a beloved pet is no different than the loss of any family member. It is only natural that you would desire a meaningful way to say goodbye to your special friend. For those that choose cremation for their pet, various cremation options are available. Please feel free to contact us for more info on how you can create a special memorial for your faithful companion.